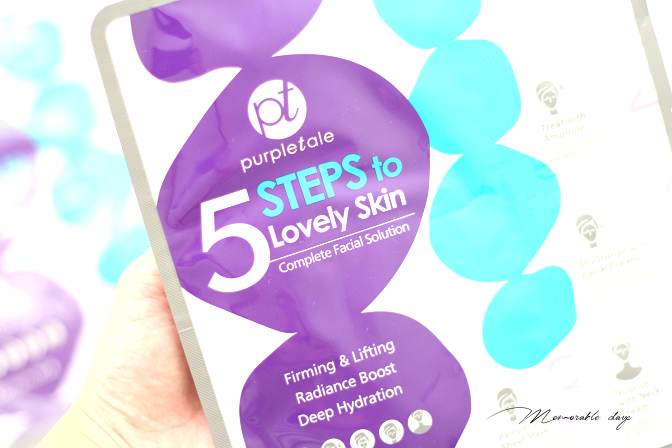 Review + Giveaway: Purpletale Essence, Facial Cream & Sheet Mask | Memorable Days : Beauty Blog - Korean Beauty, European, American Product Reviews. A few months ago the owner of Purpletale emailed me and asked if I wanted to test her products. 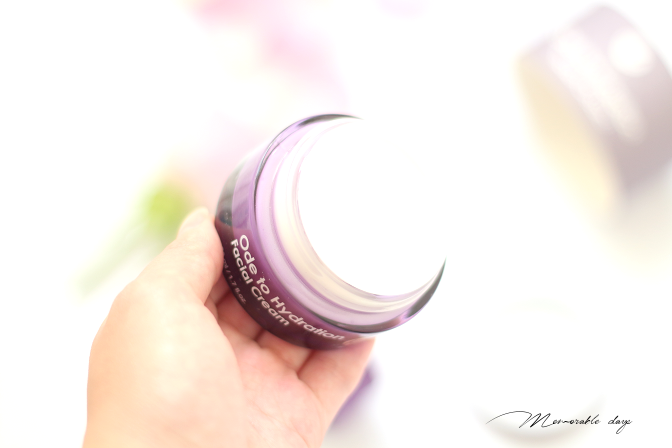 Sometimes I am a bit skeptical about products that aren't that well-known yet, but during that period many other bloggers gave the products a try and shared some positive reviews, so I decided to give it a try myself. 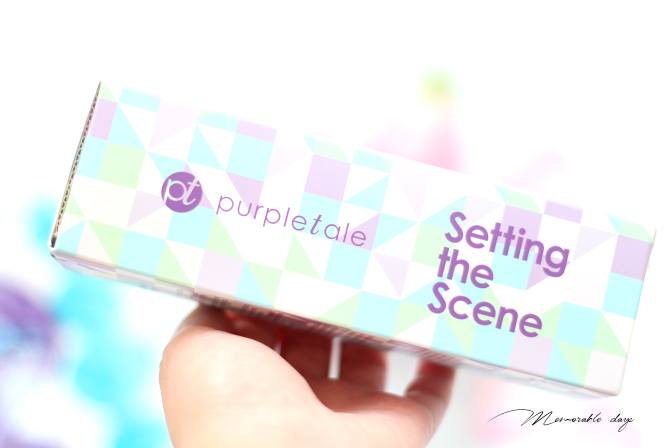 The brand is called Purpletale and is a new skincare brand from South Korea created by a lovely lady called Young-Ji (you can read her story here). In today's blogpost I will be sharing my thoughts about her products. Quote from the owner, Young-Ji: "I believe that when you look good, you feel good. And when you feel good, you can’t help but share goodness with the world around you. That’s why I only use wholesome, enriching ingredients that nourish the skin and make it easy to feel beautiful from the inside out. My products are simple and easy to use, making your regimen feel less like a process and more like pampering. Together, we can help everyone see their beauty and share their story. - Purpletale: The beauty of YOU." I totally stand behind her thoughts; when you look good, you will have more confidence and feel good. This will be visible on your face, your smile and gestures and you will share that with the people around you. 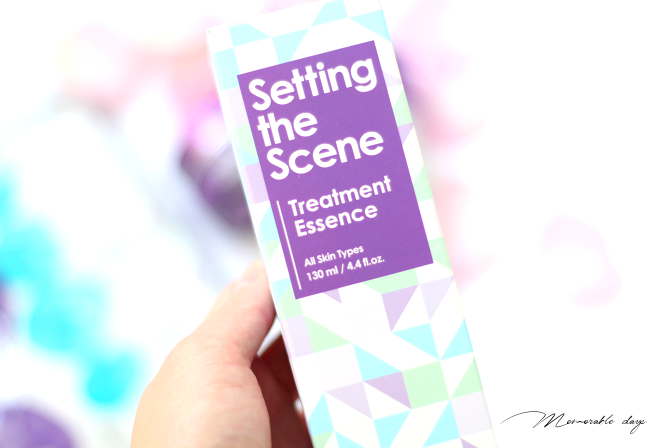 One of the products that I have been testing out is the setting the scene treatment essence, which is a firming and brightening facial treatment essence (FTE). I always got to have an essence in my skincare routine so I got curious about this one. The packaging is pretty and contains English descriptions (yes!) as well as Korean descriptions. It's an essence which is great to hydrate the skin, for brightening effect and to smoothen fine lines. It contains ginseng, peptide complexes, adenosine and 2% niacinamide. It's suitable for all skintypes and can be used daily. With daily use, it will improve skin's overall texture and contribute to balanced, firm and glowing complexion. It contains 130ml. • Ginseng saponin: this revolutionary ingredient of Asian skincare saves the day with nourishing and antioxidant properties to help restore and preserve a more youthful look. • Peptide complexes: this anti-aging powerhouse prompts natural collagen production to reverse the signs of aging. • Adenosine: this ingredient doesn’t believe in reading between the lines, just getting rid of them - without irritating or inflaming your skin in the process. This yeast-derived ingredient penetrates deeply into skin to improve appearance of wrinkles and fine lines while supporting healthy cell function. • Niacinamide: also known as vitamin B, though we consider it more as your skin’s vitamin-packed BFF. This tried-and-true ingredient has a reputation for treating uneven skin tones, reducing acne, and soothing skin redness. Full ingredient list: Water, Butylene Glycol, Alcohol Denat, Glycerin, Niacinamide, 1,2-Hexanediol, Diglycerin, Betaine, Hydroxyethylcellulose, PEG-60 Hydrogenated Castor Oil, Dimethicone, Allantoin, Ethylhexylglycerin, Adenosine, Disodium EDTA, Sodium Hyaluronate, Polyglutamic Acid, Hydrogenated Lecithin, Acetyl Hexapeptide-8, Copper Tripeptide-1, Palmitoyl Pentapeptide-4, Pueraria Mirifica Root Extract, Ginsenosides, Fragrance. Put a bit of the essence on your palm and apply on a clean skin and neck. I used it daily in the morning during a period of one month. It is a thin watery essence. It soaks up very quickly and it's easy to spread. Luckily it's not sticky after application. It has a lightweight lotion scent to it, which is not overwhelming which I like. Once applied my skin feels hydrated. 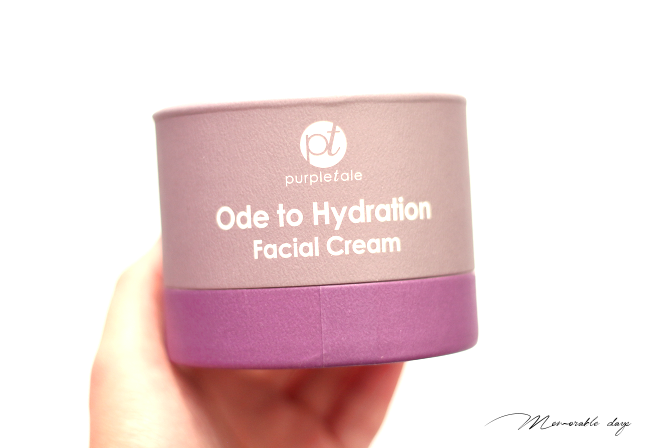 I love the name of this facial cream - ode to hydration! Who doesn't love hydration? Similar to the essence it's formulated with ingredients such as ginseng, peptide complexes, adenosine, and 2% niacinamide. It repairs a wide variety of skin concerns including dull complexion, fine lines, dark spots, and blemishes. It contains 50ml of product. They really had a good thought of the packaging of the facial cream and I love it! Once you open the small box, you will see the cream and below it, you will see a spatula. It's always good if a cream has a spatula because of hygienic reasons. Once you twist the cream cap open, you will see a white protection film, I usually just leave it on, so the cream stays put. Keep in mind that the cream has alcohol denat and fragrance in the ingredient list. I know some people can't take these ingredients or rather want to avoid these. You can also find the list at cosdna.com. It contains great moist ingredients like jojoba seed oil, shea butter and olive oil. It has the same star ingredients just like the essence treatment: ginseng saponin (nourishes the skin and helps to restore the skin), peptide complexes (anti-aging), adenosine (yeast-derived ingredient which improves appearance of wrinkles, fine lines), and 2% niacinamide (vitamin B, treats uneven skin, reduces acne and soothes skin redness). Full ingredient list: Water, Glycerin, Butylene Glycol, Hydrogenated Polydecene, Caprylic/Capric Triglyceride, Butyrospermum Parkii (Shea Butter), Macadamia Integrifolia Seed Oil, Niacinamide, 1,2-Hexanediol, Cetearyl Alcohol, Cyclopentasiloxane, Cyclohexasiloxane, Stearic Acid, Polyglyceryl-3 Methylglucose Distearate, Olea Europaea (Olive) Fruit Oil, Sodium Acrylate/Sodium Acryloyldimethyl Taurate Copolymer, Polysorbate 60, Dimethicone, Sorbitan Stearate, Simmondsia Chinensis (Jojoba) Seed Oil, Isohexadecane, Polysorbate 80, Betaine, Polyglutamic Acid, Sodium Hyaluronate, Alcohol Denat, Pueraria Mirifica Root Extract, Centella Asiatica Extract, Acetyl Hexapeptide-8, Copper Tripeptide-1, Palmitoyl Pentapeptide-4, Ginsenosides, Ethylhexylglycerin, Adenosine, Disodium EDTA, Fragrance. I applied this daily at night as my last step of my skincare routine. I have tried this cream within a period of one month. As you can see it is a white cream with a lightweight creamy texture. It is easy to spread and it is not sticky after application. I really love how lightweight it feels and it soaks up into my skin quickly, leaving a non-oily, very hydrated and plump skin. This cream has a lightweight lotion scent which is not overwhelming. The scent fades straight away once applied on the skin, so I don't mind it. 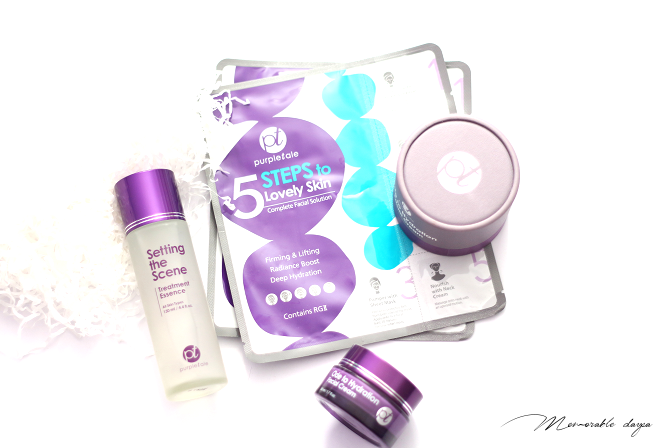 Another item that I was excited to try was their 5-steps to lovely skin complete facial solution. Which is practically a foam cleanser, ampoule, facial cream, sheet mask and neck cream in 1 sheet! How amazing is that. Besides Purpletale, many brands (e.g. Innisfree) are coming up with a multiple steps sheet in one and I absolutely love the idea of it. This is definitely amazing for people like me who travels a lot. LETS GO THROUGH THE STEPS SHALL WE? 1) First, lather the foam cleanser in your hands and cleanse the face and neck. Rinse and gently pat dry. It lathers up nicely and I can see why since this foam cleanser has a pH 8 which is pretty high. It doesn't remove extremely waterproof make up thoroughly so do make sure you double cleanse, or when you travel make sure you have another oil cleanser with you. However, this would work if you only want to wash off your sunscreen or wear light make up. 2) Treat your skin with the ampoule. It's a translucent light ampoule which is hydrating and absorbs quickly. Apply a thin layer to face and neck and wait until it's fully absorbed. The consistency is more like an essence; lightweight. This small sacket actually contains a lot for only the face so make sure to apply it on your neck as well. 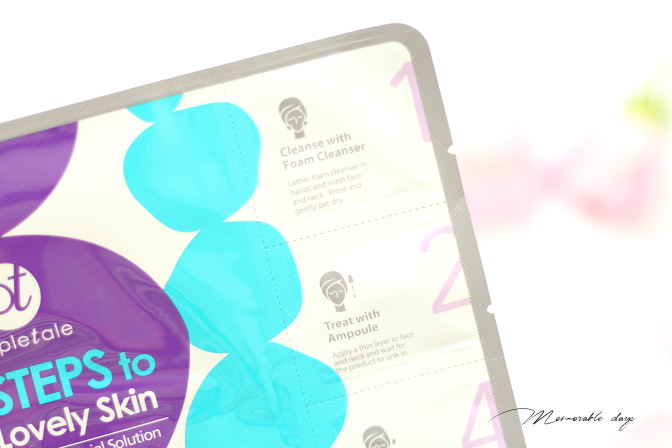 3) Time for a sheet mask! This mask is sandwiched between protective films. Therefore peel away protective film on one side, place the mask on the face and then peel away the other protective film. It is a very cooling, hydrating bio-cellulose mask and it clung to the contours of my face wonderfully. (Bio-cellulose masks are my favourite!) Leave on the face for 20 minutes and you can remove it after. If you got any residue left on the skin after removal, massage it into your skin and don't waste it. Don't need to wash it off after. 4) Dab the facial cream on the face and apply evenly - this is the ode to hydration facial cream. 5) Last step is the neck cream. This neck cream has a slightly ticker texture than the facial cream but is also very moisturizing. Simply massage the neck cream onto the neck with an upward motion and you are done with all steps. This is actually my first time seeing a neck cream, I like the idea of it since many people forget to treat the neck as well. 1) Foam cleanser (cosdna)- Water, Stearic Acid, Glycerin, Myristic Acid, Cocamidopropyl Betaine, Potassium Hydroxide, Lauric Acid, Propylene Glycol, Glycol Distearate, Glyceryl Stearate, PEG-100 Stearate, PEG-60 Hydrogenated Castor Oil, Sodium Methyl Cocoyl Taurate, Polysorbate 20, Alcohol Denat., Pueraria Mirifica Root Extract, Acetyl Hexapeptide-8, Copper Tripeptide-1, Palmitoyl Pentapeptide-4, Methylchloroisothiazolinone, Methylisothiazolinone, Disodium EDTA, Fragrance. 2) Ampoule (cosdna) - sad to see that alcohol denat is ranked so high in the list : Water, Butylene Glycol, Alcohol Denat., Glycerin, 1,2-Hexanediol, Hydroxyethylcellulose, Betaine, Sodium Hyaluronate, Polyglutamic Acid, Acetyl Hexapeptide-8, Copper Tripeptide-1, Palmitoyl Pentapeptide-4, PEG-60 Hydrogenated Castor Oil, Allantoin, Carbomer, Triethanolamine, Pueraria Mirifica Root Extract, Ethylhexylglycerin, Adenosine, Disodium EDTA, Fragrance. 3) Bio-cellulose sheet mask (cosdna) - Water, Glycerin, Butylene Glycol, Citrus Paradisi (Grapefruit) Fruit Extract, Carbomer, PEG-60 Hydrogenated Castor Oil, Allantoin, Cetyl Ethylhexanoate, Dimethicone, Caprylic/Capric Triglyceride, Dipropylene Glycol, Hydrogenated Lecithin, Hydrogenated Poly(C6-14 Olefin), Oenothera Biennis (Evening Primrose) Oil, Cyclopentasiloxane, Cyclohexasiloxane, Betaine, 3-O-Ethyl Ascorbic Acid, Glyceryl/Polyglyceryl-6 Isostearate/Behenate Esters, Panthenol, Potassium Hydroxide, Alcohol Denat., Pueraria Mirifica Root Extract, Centella Asiatica Extract, Acetyl Hexapeptide-8, Copper Tripeptide-1, Palmitoyl Pentapeptide-4, Ginsenosides, Disodium EDTA, Fragrance. 4) Ode to hydration facial cream (cosdna) - see ingredient list above. 5) Once upon a neck cream (cosdna) - Water, Panthenol, Glycerin, Cetearyl Alcohol, Isohexadecane, Butylene Glycol, 1,2-Hexanediol, Macadamia Integrifolia Seed Oil, Caprylic/Capric Triglyceride, Stearic Acid, Cetyl Ethylhexanoate, Phytosqualane, Sorbitan Olivate, Cetearyl Glucoside, Beeswax, Beta-Glucan, Arginine, Carbomer, Allantoin, Sodium Hyaluronate, Alcohol Denat., Pueraria Mirifica Root Extract, Centella Asiatica Extract, Acetyl Hexapeptide-8, Copper Tripeptide-1, Palmitoyl Pentapeptide-4, Ethylhexylglycerin, Adenosine, Dipotassium Glycyrrhizate, Fragrance. You are able to purchase the products at purpletale.com. The treatment essence is USD$34.99, the facial cream is USD$29.99 and the 5-steps mask is USD$7.99 per sheet. She offers free shipping when purchasing over USD$35.-. It's also available at beautibi.com . Concerns: - dull skin - can get really oily during the day at T-zone, and when I wake up - starting to get fine lines. 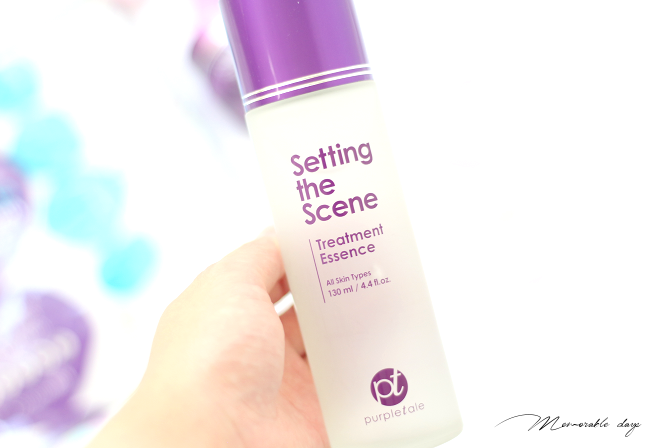 I used the treatment essence and the cream daily during a duration of one month. 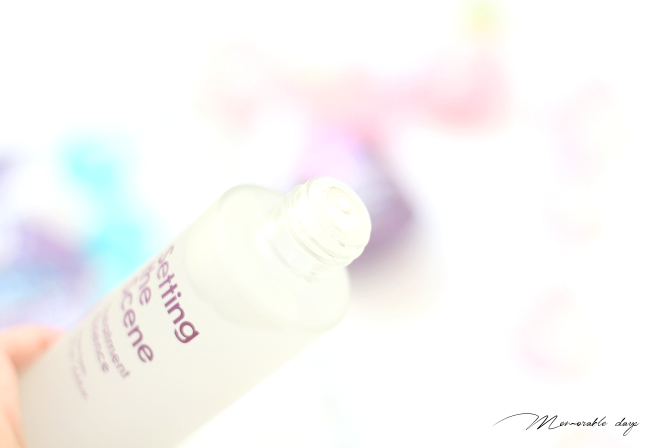 The essence hydrates the skin well, gives a little bit of a brightening effect (not enough), doesn't have a sticky residue, but other than that, it didn't do much with my skin. Probably after a longer period of usage I may see some improvements with smoothening fine lines, but not after one month. It's not a WOW product that I cannot live without, but I do say it's great for hydration. 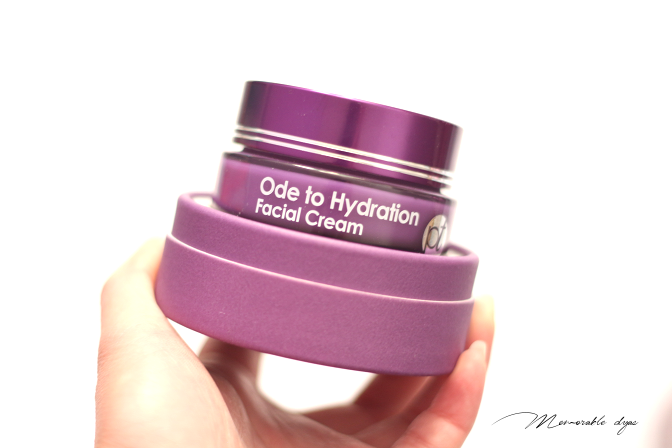 As for the ode to hydration facial cream, it lives up to the name of the product! 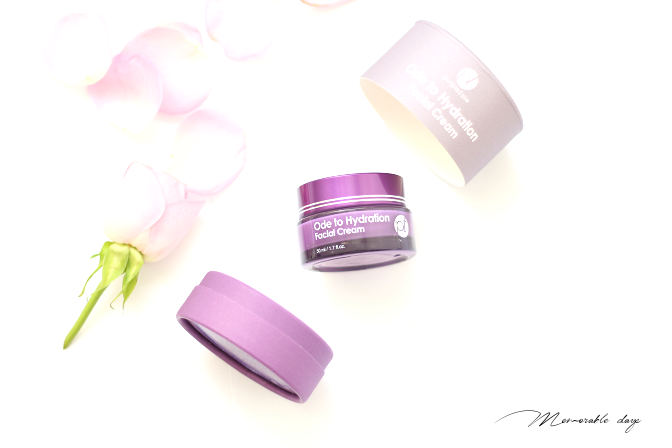 I love hydration and I am always searching for creams that's suitable for my skin. This cream is extremely rich, but very lightweight. It absorbs quickly without leaving a sticky, oily greasy residue. My skin feels plump, moisturized, very soft after application and that's what I am exactly searching for in a facial cream. Even in the morning it's not oily or greasy and still feels hydrated. Seems like my skin loves jojoba seed oil, shea butter and olive oil in this cream. It also soothes my skin redness, and made my skintone more even, (probably thanks to the vitamin B that it includes). As for the 5-steps to lovely skin pack, I love the whole idea of it. There are so many steps included, this is one of the best ideas that I have seen for years. And definitely suitable for me who travel a lot overseas. The ampoule felt moist on the skin and is actually my favourite of the pack, the bio-cellulose sheet mask felt moist and cooling and left a plump & bright skin after usage. The only downside was the foam cleanser with such a high pH. A high pH cleanser is something people want to avoid, but the other steps were great in my opinion. After doing all 5 steps, it truly felt like I was pampering myself haha. Finishing off with a hydrating neck cream is such a great idea since many people neglect the neck area. I am very enthusiastic with these products since they are great, and you know what... it's give away time! Since I had great experience with the products I decided to give away 2 x 5-steps to lovely skin and the ode to hydration facial cream to one lucky winner! YES! You are able to try out these products as well! It will be a worldwide giveaway and it will be held on my beauty instagram account @Sokobeauty. There are a few rules in order to join, so make sure to read it properly in the IG post. There will be one lucky winner, will it be you? note: these products were sent to me for review purposes, this didn't affect my opinion about the product. the giveaway is a collaboration with purpletale, see disclaimer.